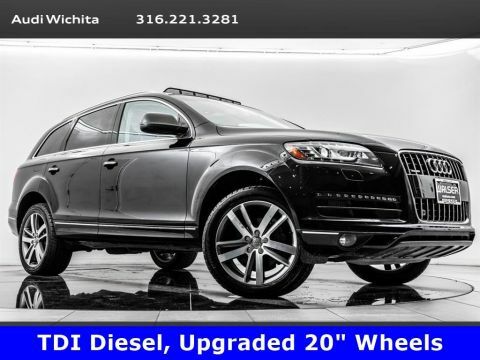 2014 Audi Q7 3.0 TDI Premium Plus quattro located at Audi Wichita. 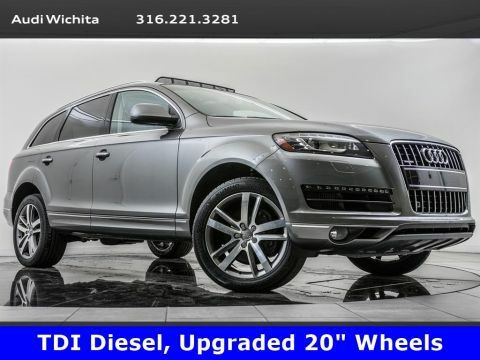 Original MSRP was $63,095. 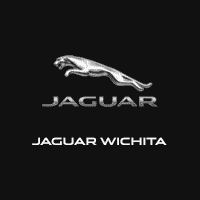 Daytona Gray Pearl Effect with a Black leather interior. 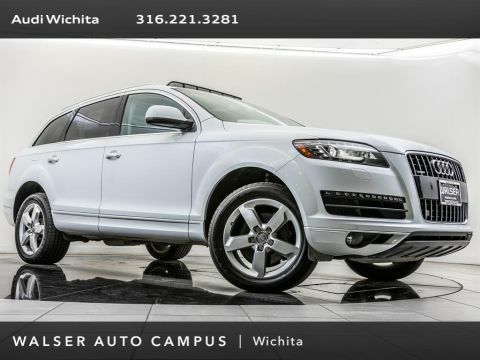 This 1-owner 2014 Audi Q7 3.0 TDI Premium Plus quattro is equipped with Premium Plus and Warm Weather packages. 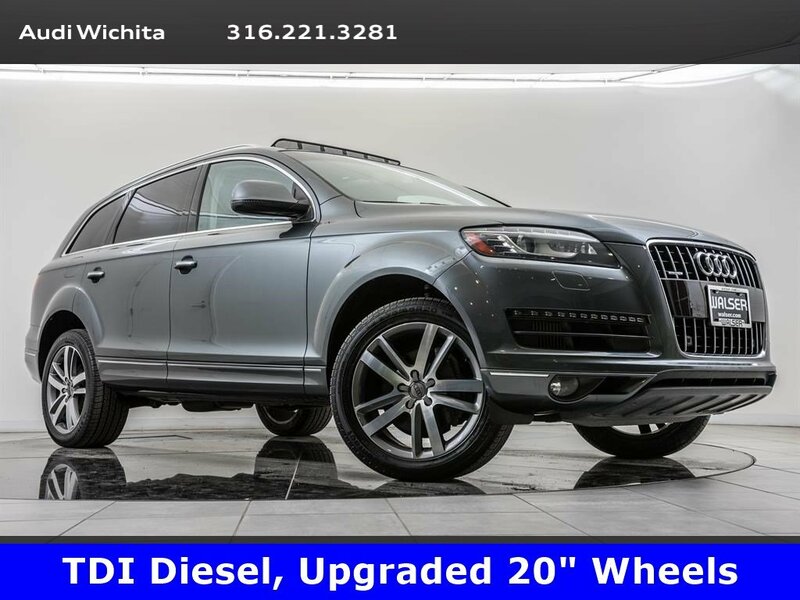 Package options and additional features include 20 10-spoke wheels, Navigation, BOSE audio, Panoramic sunroof, Audi side assist, Rear view camera with parking system, and SiriusXM radio.